Men's Snack Happy Hoodie is rated 4.5 out of 5 by 2. Keep munchies on hand. Always. You should always have easy access to a quick snack in the field. Now you can keep them fresh and secure all day. You may want to keep your snacks in, but water can definitely stay out. Stay dry all day, whether you're in the woods or just out and about. 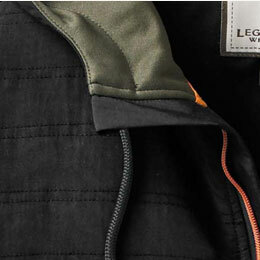 Legendary innovation: This is no ordinary pullover. 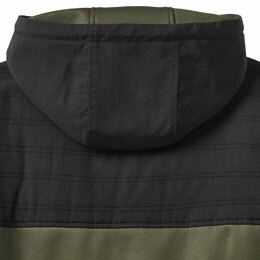 The 3-piece hood, quilted piecing, and water-repellent finish give this poly fleece hoodie the distinctive features outdoorsman eat up. But it’s the special kangaroo pocket that takes the cake! 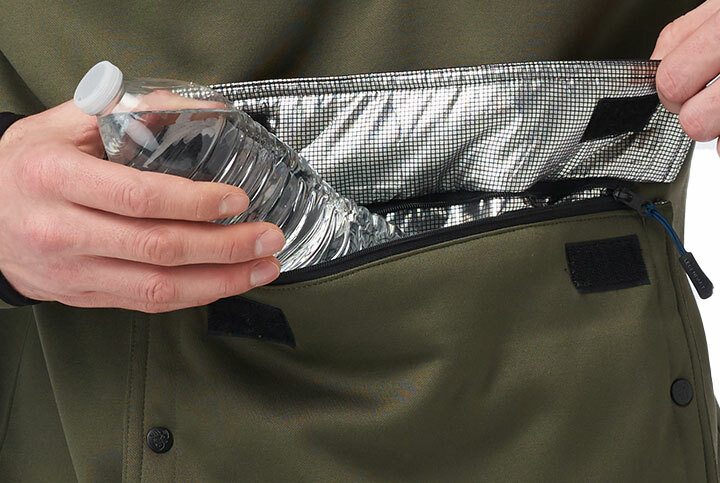 It’s not just a pass-through pocket—there’s also an insulated snack pocket (with hook and loop closures) IN FRONT OF the hand warmer pocket. Now you have the perfect place to securely stash a snack next time you head to the woods! Granola bars, sodas, decoys, sledgehammers. 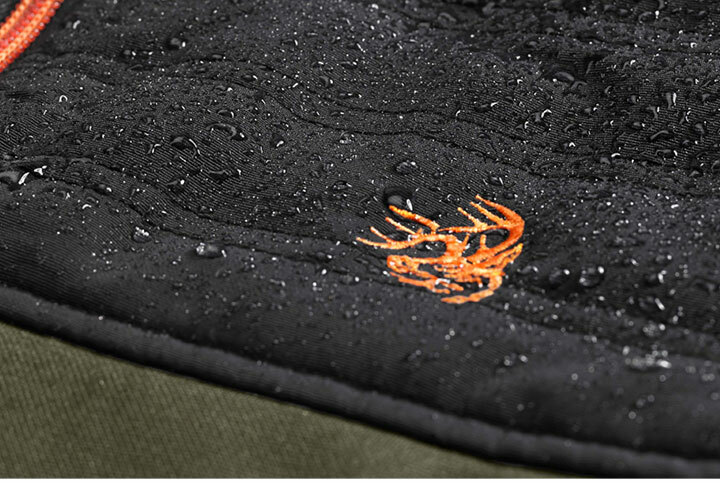 The new Snack Happy Hoodie has The Hunting Public guys ready for just about anything. *Shotgun, snacks, fire extinguisher, etc. not included. Rated 4 out of 5 by Kyle Brewer from Nice Hoodie... BEWARE its only holds a sixer in the front pocket As stated in title BEWARE its only holds a sixer in the snack pocket. By not utilizing the hand pockets I'm sure I could get 8-9 in there when using the cooler and hand pockets. 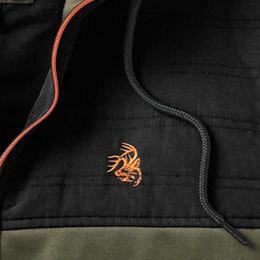 On a honest note this is a nice hoody for mid 40-50s weather. Had a few strings running wild when I received it so I hope it holds up. Rated 5 out of 5 by Ted Zangerle from Comfortable, Warm, Roomy! I wear this hoodie when I go to the woods and when I am out running around with my buddies. I really like it because I can bring way more stuff with me wherever I go. I don't have to tote a bag or some kind of pack to bring things along I can just throw it all in this hoodie and go! 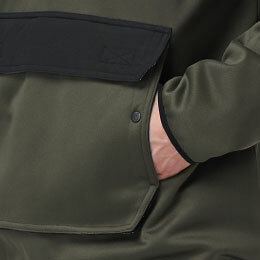 The pocket on the front is nice and roomy and even has some insulation lining on the inside so it keeps drinks chilled for some time! Overall this is a great sweatshirt to have in the closet because it looks nice and can take place of your full pants pockets!